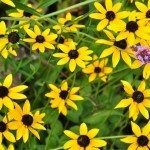 What is the latest date you can sow Black Eyed Susan Vine seeds? This depends on where you are located. What is your USDA zone? Your zipcode can also help me to find your zone.